The M700 base station is ideal for companies requiring wireless coverage across several floors or throughout large buildings.Setup is easy and intuitive thanks to the integrated installation mode on the Snom M65 handsets. The M700 DECT multi-cell solution can be configured for up to 30 M65 handsets per base station with up to 40 M700s in a deployment for up to 200 handsets enabling coverage of entire office complexes and across huge areas. 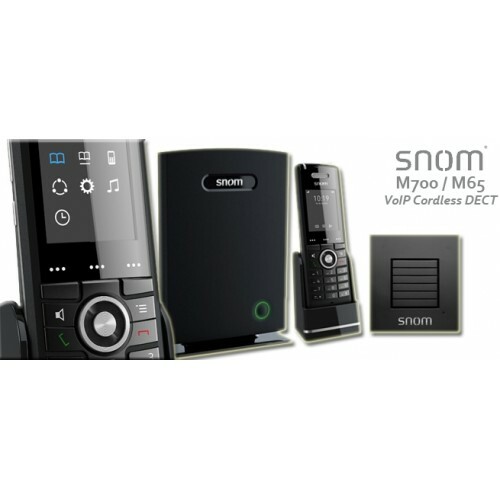 With the M700 multicell system in your office, the connected Snom M65 handsets enjoy many phone system features such as direct search in the corporate directory and HD audio. Snom’s multicell DECT solution links multiple M700 base stations together, forming a seamless network to allow free movement between base stations. Initiated calls continue uninterrupted while moving from one station to the next. 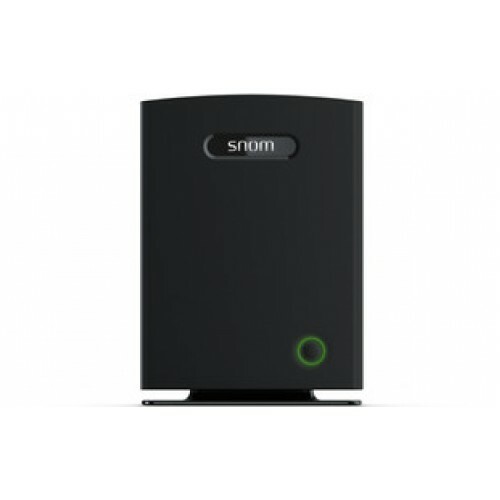 The multicell solution also supports the Snom M5 repeaters with DECT encryption to further increase reception range and to bridge gaps between base stations. Wireless security is ensured by DECT encryption, while TLS and SRTP ensure secure SIP communication. And as an added value, you do not have to pay for licenses for the included audio codecs, channels and other features.